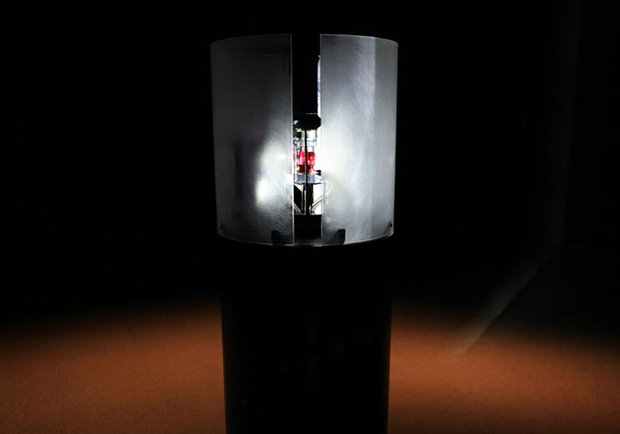 Futile Labour is an installation that calls attention to the growing phenomenon of manipulating and engineering life. 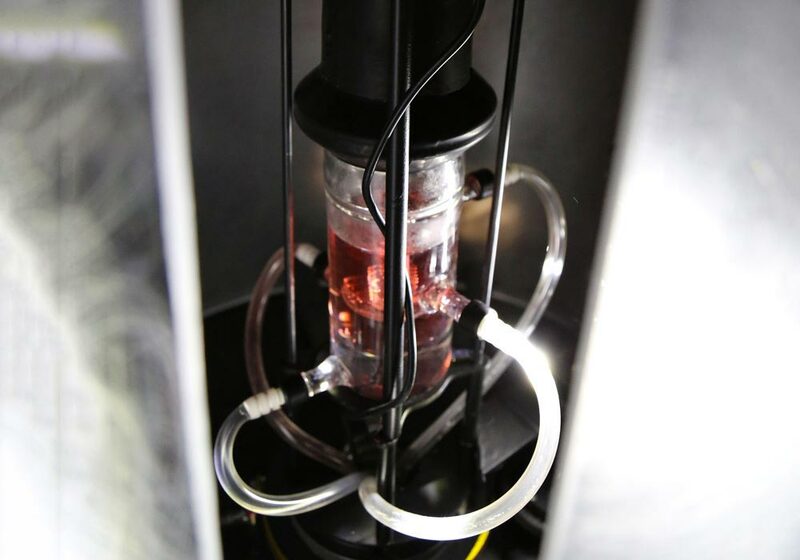 The exhibition presents the apparatus of a “living machine” – a tissue engineered muscle that is housed and fed inside a custom designed vessel. Through electrical stimulation, the muscle cells contract and their resulting movement is translated into humanly perceivable sensations: vibration, light and sound. This performance and the resulting sensations is autonomously influenced and directed by the movement of the cells, all in realtime in the gallery space. Avoiding the fallacy of “seeing is believing,” Futile Labor challenges the idea that scientific truth is based on what can solely be visualized and instead plays upon what is carnally felt in the bodies of the audiences. We utilize muscle cells called C2C12, which were transformed by scientists into “immortal cells” that can endlessly divide and multiply. While lab mice life expectancy is 2-3 years, we are attempting to stimulate cells derived from a mouse that died more than 35 years ago. 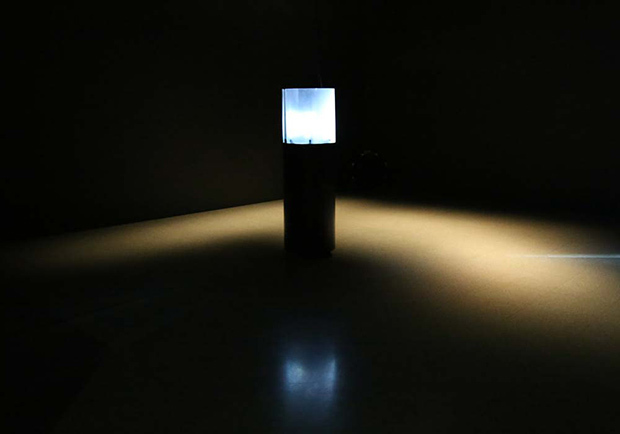 In the exhibition, the tension between human and machinic bodies, the living, semi-living or non-living is correlated with the very thresholds of human perception: the humble, almost invisible and barely perceptible random twitches of microscopic muscle cells in a dish rather than the efficient and apparent movement of a well-oiled machine. This human dream of engineering life may thus turn out to be, in the end, just a vapour in the wind.